The hands of Ty Cobb, responsible for numerous seemingly unbreakable baseball records, including twelve batting championships (nine consecutive!) 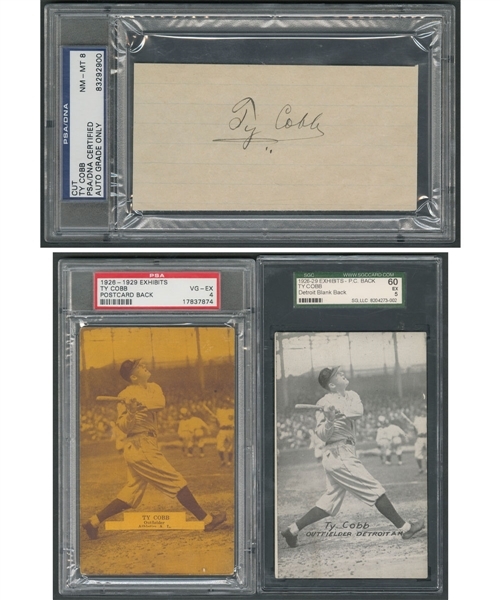 and a .367 lifetime batting average, touched the piece of lined paper here, adding a bold fountain pen "Ty Cobb" autograph, the piece now encapsulated by PSA. The signature is graded NM-MT 8 and was penned to the back of a letter written by a 14-year old boy, with seven lines of his autograph request viewable. Meanwhile, two similar-size holders are home to the same image of Cobb following though in batting practice, with an orange-tinted (1926-1929) exhibit card with postcard back graded VG-EX 4 by PSA and a black and white blank back exhibit from the same period slabbed EX 5 by SGC. 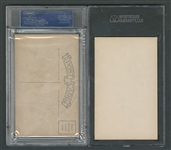 The latter firm awarded NM 7 marks to two smaller issues; a 1915 Postaco stamp and a 1963 Bazooka All-Time Greats card. 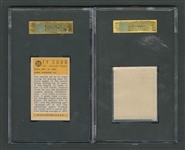 The write-up on the back of the Bazooka card speaks of the Georgia Peach's 892 career stolen bases and his back-to-back .400-plus batting averages of 1911 and '12. Another alluring grouping featuring a baseball immortal.